Week 2 of the year is almost over, but still, is always good to look back of what 2017 brought us. 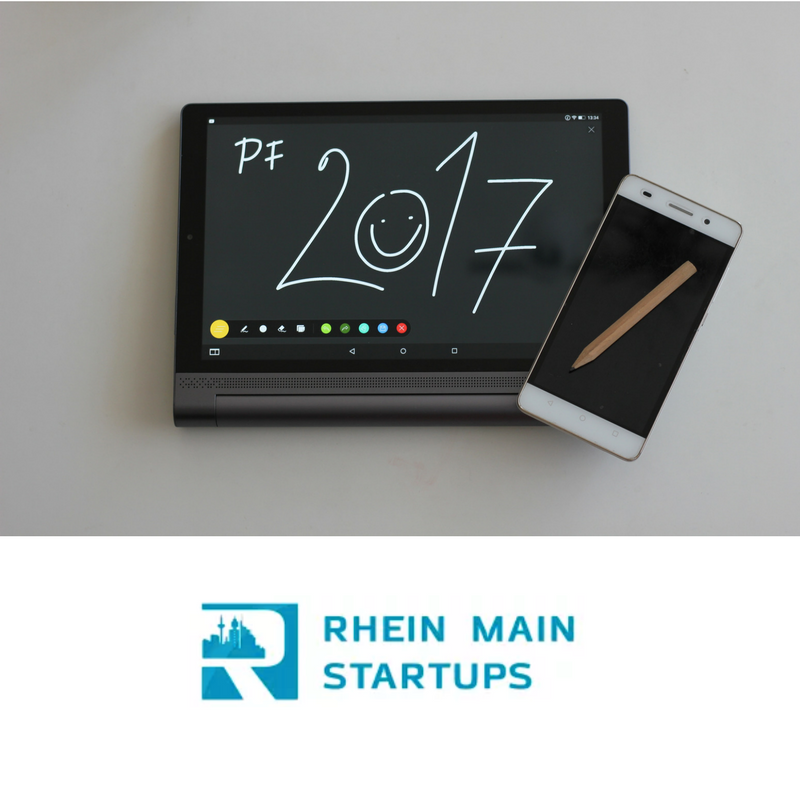 Particularly speaking, Rhein-Main-Startups.com had a great year. An example, is that we managed to grow our audience at our Facebook Page by almost 50%. Thanks for all our readers and hopefully we will keep growing in 2018 with more interesting content that you will like, share and comment. Obviously, this is a reflect of the ecosystem overall. Frankfurt Startup Ecosystem is growing a lot. We may be far away from Silicon Valley, we may not be London or Berlin, but we are growing on our own way and we are proud of it. That said, a lot has been going on and it´s a very very hard job to summarize one year in one post. But let me try! In August, main incubator invested in e-bot7; Business Angels FrankfurtRheinMain invested in One: 47 and ALCAN Systems GmbH got 7.5 millions founding, not bad! But in my opinion, September was even better, Cobi was acquired by Bosch and Daimler acquired flinc. If I´m not wrong, thing were announced in the same day! Congrats for both teams for such a work. Well, hope not…The true is much more happened…those were just a wrap up of the most relevant articles we published. Bettzeit Gruppe and Emma were the most fastest growing startup from the region and were awarded at the TNW as the number 4th in Europe. Also Fincite and CrowdDesk made to the top 50th from Germany according to the Gruenderszene. Some classics, like Clark keept closing partnerships with European banks such as ING, DKB | Deutsche Kreditbank AG and N26 Group, and now offers more than 10 mio. customers the opportunity to digitally manage all insurances. Unfortunately, It was a year that we lost the opportunity to host EBA, but we should be proud of what we offered! Brexit is still there, and a lot of projects have been pushing the city and our power further, such as Frankfurt Main Finance or FrankfurtRheinMain GmbH. Let´s see what 2018 will bring us. Who reads my posts for sure have noticed that I´m also a fan of the Accelerator Frankfurt and TechQuartier work. It´s impossible to not highlight all the projects, events and power they have been giving to us. Maria Pennanen, Ram Shoham ,Sebastian Schäfer, congrats. On a personal note, I was also lucky to work for a short period at Acomodeo, a company that has plenty to grow and is tackling with international competitors like Airbnb or local ones like HomeLike or Nestpick from Rocket Internet. Bigger os smaller, Impossible not to be proud of all the Rhein-Main-Startups! Congrats to all! Founders, Co-Founders, investors, coworkers, lovers, students, the ones the I mentioned and also to the one I may have missed. Let´s hope for more success in 2018! P.S: A special thanks to Paul and Joern for letting me participate here and have some other join collaborations such as for Startus.